The legendary puzzle game 2020! Deluxe is ready! Enjoy the most fun and challenge that you can find in a puzzle game! 2020! 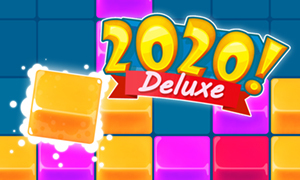 Deluxe is a fun puzzle game that has some traces from your beloved Tetris blocks has a lot more to offer! You have the place the blocks wisely so the game board is not filled up and you are game over! It is quite easy to play but hard to master! Do not worry, surprise gifts,coins and hints along the way will help you to whip your way through higher and higher scores! Do not forget to use magical boosters, they will help you get the highest score easily! Compete with your friends and family in this addictive puzzle game! How far you can play 2020! Deluxe?